So what do we mean when we say ‘Analytics’? Analytics has become quite a buzzword over the past couple of years. Awareness has been promoted by general talk of ‘big data’ as well as by increasing emphasis in the sector on the student experience and success factors (linked to ‘Learning Analytics’) and on resource optimisation driven by economic constraints. Furthermore EDUCAUSE and the Gates Foundation in the US and Jisc in the UK have enabled notable exploratory work. And now every new generation library systems offering needs the ‘Analytics’ badge. But what does analytics mean to library professionals UK Higher Education? Is analytics ‘all things to all men’ or simply ‘the emperor’s new clothes’ (formerly known as management reporting or the director’s dashboard)? 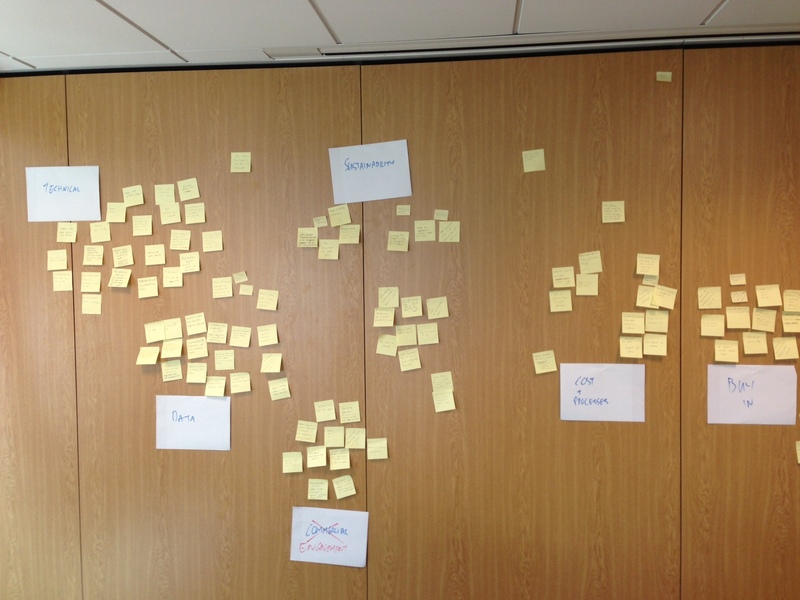 So in Autumn 2013 the LAMP project set out to discover what library teams really have on their minds. 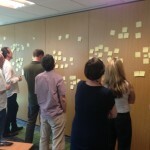 Whilst LAMP is specifically focussed on the opportunities for shared services around library analytics, we stepped back to the underlying question of ‘What do libraries want to achieve with analytics?’ regardless of whether a shared service can help (our second order question as a project being to identify the cases where LAMP might help). 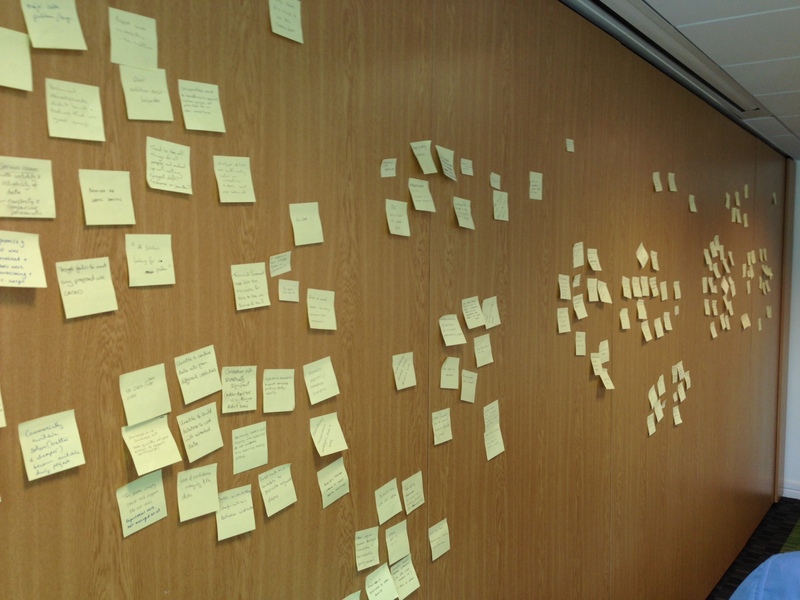 A total of eleven libraries working with the LAMP project agreed to develop a set of User Stories describing what they would like to achieve with analytics. 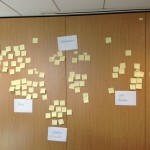 We agreed to a two-step process whereby seven libraries were interviewed to source a set of stories and then the wider group (the original seven and four more) voted on the relevance of the stories (around 90) from their local perspective. Thanks go to the library teams at the universities of Birmingham, De Montfort, Exeter, Huddersfield, Hull, Manchester, Warwick, Wolverhampton, York, the London Business School and the Open University. 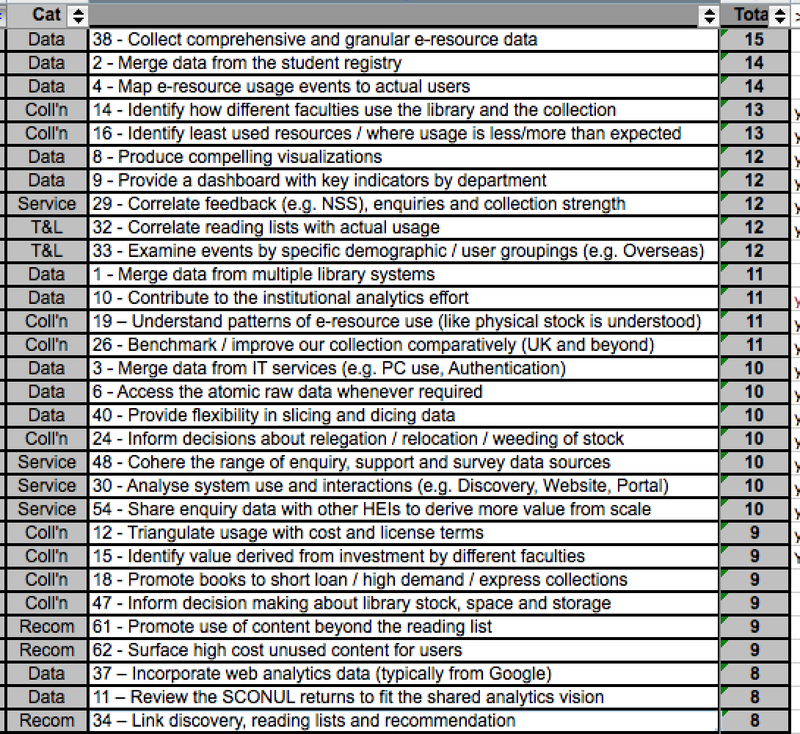 So what did our 11 libraries consider the most important contributions to be made by analytics? 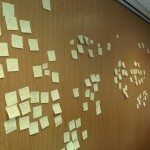 As described above, we collected around 90 stories and then put them to the vote! Our voting system allowed a library to allocate 2 points for any story they regarded as ‘important’ and 1 point for a ‘useful’ story. Therefore a story regarded as ‘important’ by everyone could gain 22 points (11 libraries x 2 points). The 49 stories that gained over one third of the maximum points (i.e. 8/22) are listed here. 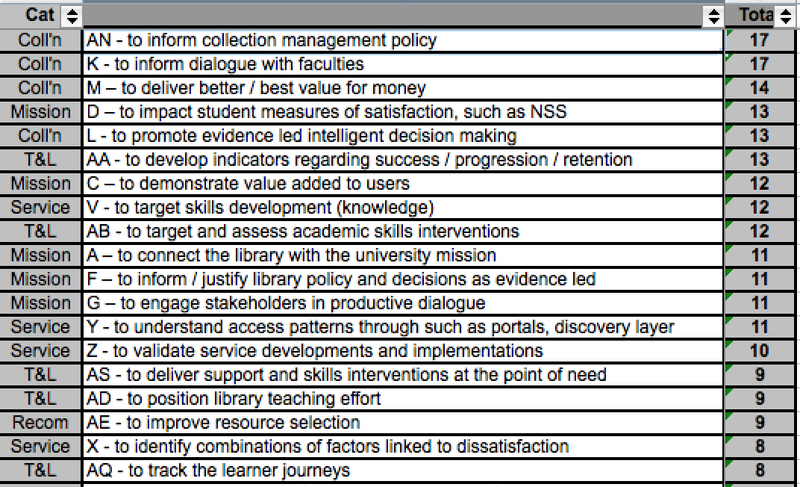 Whilst the ‘activity’ stories mainly speak for themselves, the challenge for libraries and for systems providers is to identify what data is required to support these requirements and how it might feasibly be collected within and across systems. The focus on e-resources emphasises this challenge as represented in two of the top three activity stories (38, 4, also 19) – especially linking e-resource activity to users just as we are accustomed to doing with print. There is a persistent recognition that insightful analytics need to combine data from more than just a single vendor system (2, 29, 32, 1). More firmly within grasp is the use of analytics to respond more effectively to differentiations in terms of faculty (14, 9) and user demographics (33). Whilst clearly recognised as an opportunity (61, 62, 34), there is less emphasis on using analytics for recommendation, surfacing reading options for users as popularised by such as Amazon. There is much food for thought here, hopefully informing how services might be developed to exploit the data pool in which ‘no system is an island’! Whilst JUSP and LAMP are partnering with UK academic libraries to develop responses in specific areas, it is clear from our User Stories that library analytics will demand considerable thought and may reveal even greater potential as our understanding and practices mature. As the project begins to engage with institutions and existing library systems vendors and services it’s important that we make it very clear what we plan to do with the data, and more broadly how the project will undertake its work. With this in mind the team have come up with a set of principles by which the project will operate. The following project principles are designed to ensure that the work of LAMP and its partners, contributors and contractors is aligned to all relevant legal and ethical frameworks. • Clarity on issues of competition and market differentiation. The ownership of any and all raw data supplied to the project will remain under the ownership of the originating institution or organisation. Data can be taken down or removed at anytime upon request from the owner. At the completion of the project all data will be returned to the owner, or deleted by the project. The project will ensure protection of data and confidentiality to persons and organisations through appropriate measures (such as anonymisation of records linked to individuals) in accordance with the Data Protection Act. In order to protect any commercially confidential data or information the project will seek to use other sources of openly available data, or ensure that this information and/or data is not made publicly available. Access to the service will be via UK Access Management Federation, ensuring confidential data cannot be accessed outside of an institution. The project will ensure its reports and technical specifications are licensed under an appropriate open license (such as Creative Commons) to encourage standardisation and reuse. All reports will be made available via the project website. LAMP will look to adopt and implement existing technical standards and make use of structured data principles to facilitate interoperability with other systems. Wherever the project handles data that pertains to the analysis of learning and research, it will act in accordance with ethical principles that treat the wellbeing and interests of the individual as paramount and as the basis for the good reputation of the sector and its institutions. [Link to Legal and Ethical framework for the project]. 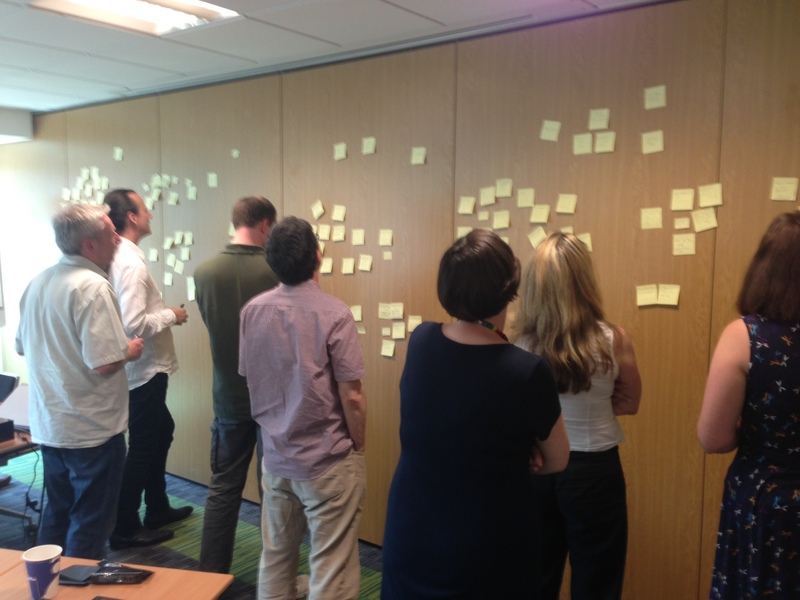 The ongoing development of LAMP will be driven by engagement with the UK library community. The prototype service will look to add value to existing institutional systems and services through the possibilities of data aggregation and benchmarking. It will not look to duplicate the functionality of existing systems or services where the market is functioning and healthy. LAMP has convened a Community Advisory and Planning Group to ensure the project meets the requirements, values and aspirations of the UK academic library community. The project also has a website and blog which will regularly be updated with new information. The project is also directly working with six institutions who are supplying data to the project. A full list of the participating institutions can be found here. As LAMP progresses and prototypes are developed, the project will plan ways of engaging wider input and feedback from the wider library community, including: International libraries and commercial suppliers. The prototype service will be available to the UK academic community upon its release in December 2013. Unique Identifiers Which Don’t Identify Anyone! Why might we need Unique Identifiers? How might a Unique ID Be Generated? But we don’t want our data to be identified! The most straightforward way to cross-reference between tables and updates would be if the partners added a unique number, or identifier, to records for every person they send us data about. Most partners will already have a unique ID in use internally, like the student number or registration number. However, sending us this information directly would destroy the anonymity of the data and would raise concerns about data protection. The best solution to this problem would be for partners to generate a different unique ID, which cannot be back-traced to their internal ID, but instead is only of use for cross-referencing purposes. Some example ideas as to how an anonymous unique ID could be generated are appended to this post. The lookup table (or routine) between the original UID and the new anonymous UID would be something private to the partners, maintained by them, that we would never get to see. The question then becomes whether or not this new ID is, in itself, an identifying feature which should cause partners concern, and below I will attempt to set out some thoughts as to why assigning an anonymous ID should be worry-free. In other words, it’s the same as if we received a single table from the providers, with just one now-meaningless column added — those anonymous values may as well be 1,2,3 for all the information they give us. The next concern, then, is that looking at data in the table above could somehow be identifying even if the anonymous IDs are meaningless. This is a completely valid concern — if there is only one person on a given course who is over forty, then looking at the data in this way would immediately make it clear that we were talking about that person. To answer this concern, we need to be clear about what the LAMP project will actually be letting users look at. Tables of the type shown above will only be held confidentially on LAMP systems. The LAMP project will not be offering data it holds at anything like the level of granularity given above. Aside from the fact that we want to protect anonymity, there are issues surrounding statistical significance. Simply put, we will be offering users the chance to observe and extract meaningful patterns from the data held in our systems. In order for us to definitely say there is a pattern, we must be able to say with confidence that an observed trend in the data is actually happening, and not just some effect in the numbers that we might see from any random sample. The way in which we make such statements is using statistical significance, and we cannot make statistically significant statements unless we reduce the level of granularity in our data by grouping data into ‘bins’. Here’s an example — the first row in the following table shows a theoretical full granularity of data we might receive from some imaginary partner, but the second row contains the same information after we have normalised the data into categories for use in LAMP. You can immediately see that the chances of identifying someone from the data drop significantly. The user interfaces, both graphical and our API, will be limited to returning results at this level of depth. Hopefully that covers some of the concerns surrounding generating and supplying LAMP with unique identifiers. For some more technical ideas about how to generate anonymous UIDs, I have given some examples in the appendix below to set people off. Next up, I’ll hopefully be posting about the design of our LAMP database, and how we will be applying the normalisations I talked about above so that we can achieve statistical significance. The main issue with generating your own identifiers is that they must be unique. Beyond that, the issue of anonymity means that you might want a routine which is unguessable. Some possible ideas are below, but this is by no means an exhaustive list and anything else which follows these principles will be fine — at the end of the day, it’s better if we don’t know how the anonymous UIDs were generated! In the example tables above, the first table could be considered the ‘main’ one as it contains info about the student themselves, whereas the second one is just peripheral usage information, so is really a sub-table. If you have a situation like this, then whilst your original UIDs are still present in your data, you could use their presence in sub-tables to look up the row number from the main table, and add that to the sub-tables as the anonymous UID. Limitations of this approach are that sorting your table by original UID before you begin may result in your anonymous UIDs being guessable. On the other hand, if you don’t sort by UID, then if new data is added to the main table it may interrupt or otherwise disturb your numbering scheme. This is the most technological approach — a hash function will return a unique code for every possible input. It is so computationally difficult to get the original data back from the hashed code as to make it effectively impossible, which is why they are used in digital certificates and for securing passwords. The returned codes don’t follow any numerical sequence, so id’s 1, 2, 3, 4 will not come out with hash codes in the same order. At the moment, SHA-2 is probably a reasonable set of hash functions to use. You can install and use the openssl library (it may well already be installed on your system) — for example, on any UNIX based system, echo id | openssl sha256 will return the hash code for id.